I’ve just added a new category and that is Coke Collection, you can navigate through the categories section on your left. So Mr Anthony a.k.a. my tuition teacher had just went on a cruise trip on the Mediterranean and I asked him to buy me some Coke before getting onto his trip. 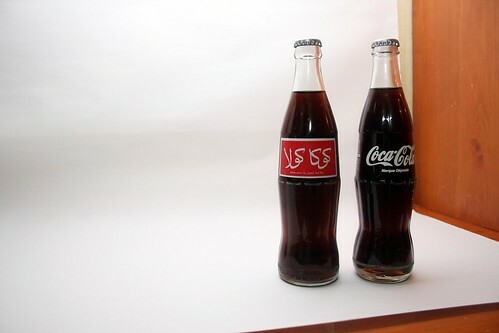 What he got me were 2 classic bottles of Coca Cola from Morocco with some Arabian wording on it. It’s the same size, one with a classic red background and another without. Marque Deposee means Registered Trademark. 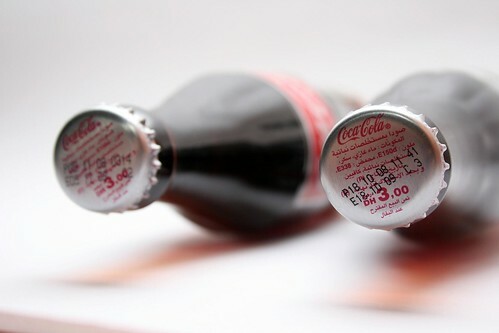 One bottle costs 3 Moroccan Dirhams (approx. RM1.25).